Computers and laptops are the most important device in our life. Almost all the functions are done by using a computer. But when your computer slows down it also slows down your work. The meaning of computer slows is generally referred as a decrease in processing speed or the read and write speed and it may also increase the responds time of the computer. At that time only one question arises in mind that how to make computer faster again. Today WhatTechSays discuss about ten most important tips that you must follow to make your computer faster again. There are several reasons behind why computers slow down, but most important reason that we find out are basically a memory issue and internet issue. In memory issue, problem may have low RAM or hard disk space. These problems occur when one or more application consumes unnecessary space or used more RAM space. And in the internet issue, it may be the browser problem or the cached memory problem. Low Hard Disk space is one of the biggest issues of decreasing computer speed. 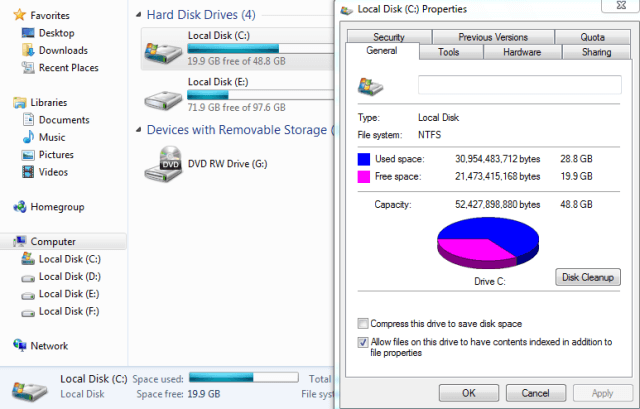 It is necessary to have at list 15% of hard disk space must be free to maintain the computer’s performance. C-Drive is the most important part of the hard disk because the operating system is installed in C-Drive. Files and programs in the hard disk are not stored sequentially and when you delete or uninstall anything from your computer the free space mat not really free may have behaved like using space due to un-sequence manner of storing. This may reduce your computer performance. To avoid this problem you need to defragment disk drive time to time. 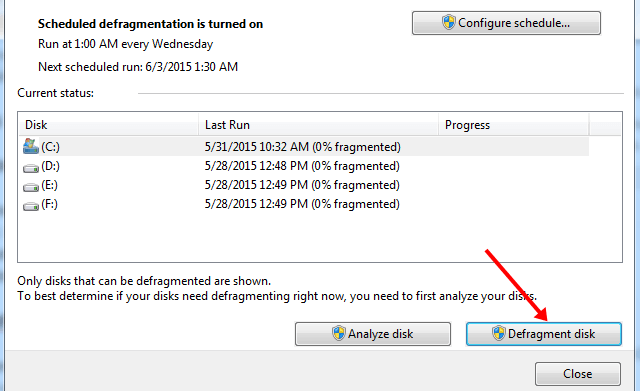 Defragmentation may arrange files in sequential order. 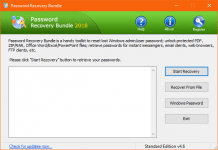 Some time you may install several applications on your computer and that applications are not used frequently. 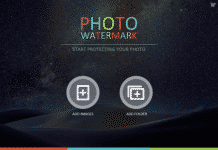 This type of application uses unnecessary space of hard disk which is one kind of issue of slowing the computer. To avoid this kind of problem, uninstall applications that no longer in use. After deleting most of the file are actually not thrown out from your computer’s memory is being caught in Recycle Bin. 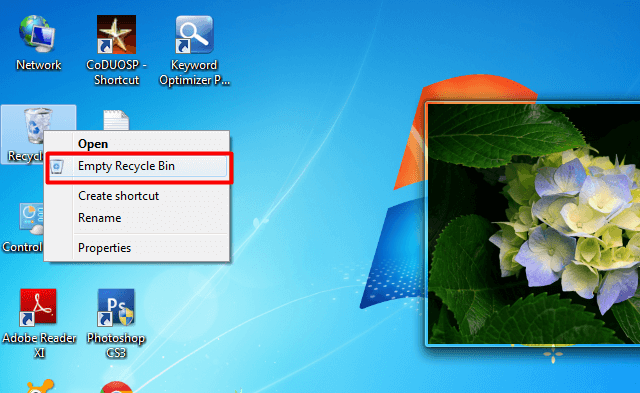 To remove this file permanently and clean your hard disk from deleted files and folders, clean Recycle Bin time to time. Temporary files are created to hold information temporarily. When a task is created on your computer its temporary data hold in a temporary file. 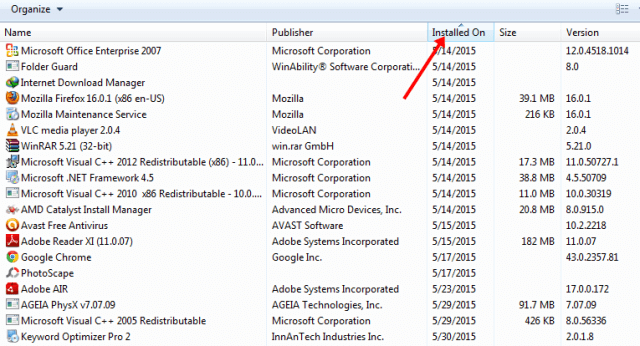 Temporary files no longer used and must be deleted after the process execution. 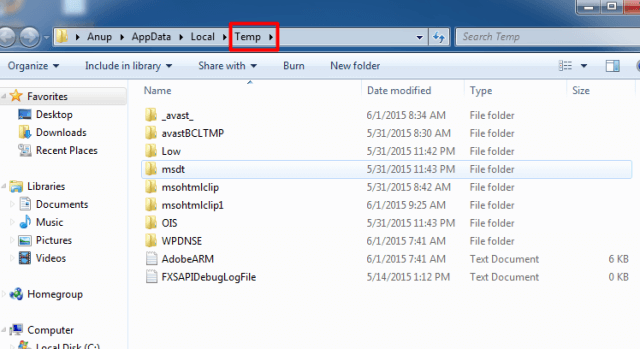 To delete temporary files type temp and %temp% in as run command it will open temporary folders and then you are able to delete these files. Some processes are running in the background while each and every time you reboot your system. 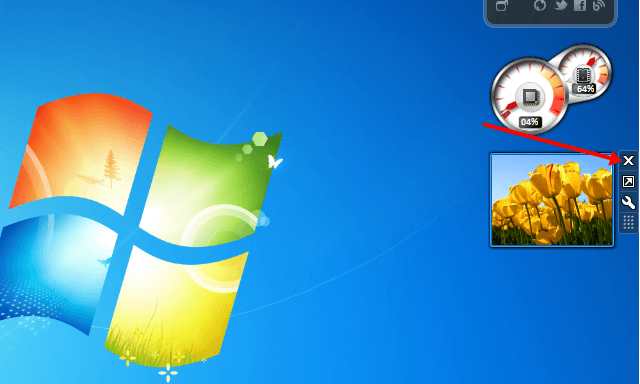 For example, antivirus start running after reboot but it is necessary, but some application those are not much necessary is running in the background may slow down your computer. You can stop simply avoiding this by selecting application those run or not run in the background. You can do it from the MS congregate window. 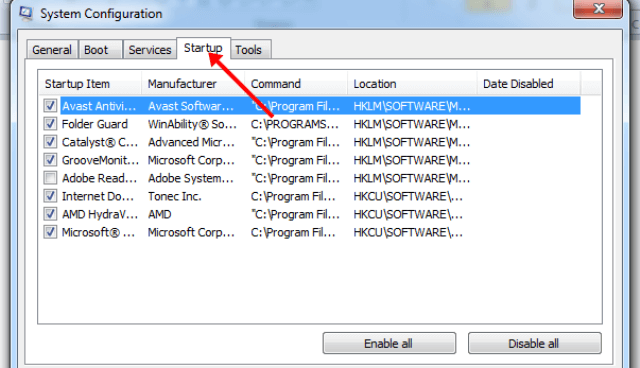 To open an MS congregate window just type msconfig as run command. Some time virus cause to slow down your computer. You have to secure your computer with an antivirus to prevent the slow effect. 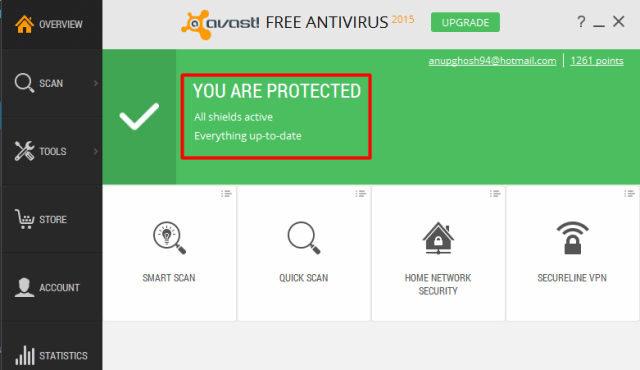 It is only sufficient not just installing an antivirus application, but also you have to maintain the application. Must update antivirus time to time and scan for virus in your computer. Some time using the internet may cause slow down your computer. 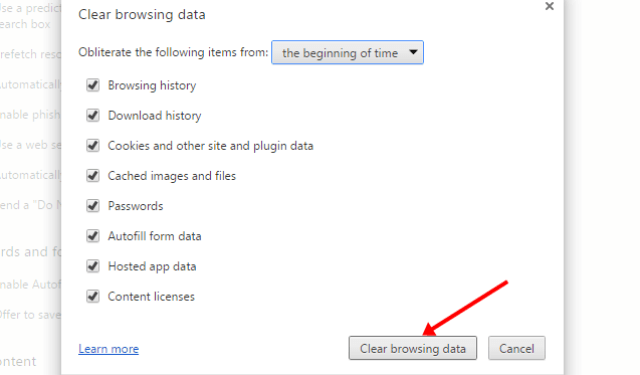 You must clean browser data, temporary file of browser, cookies and cached to improve your browser performance. The browser uses a lot of RAM and may cause a low physical memory effect. When you use internet try to avoid using more tab of the browser because the number of tab consume more space of RAM. Try to remove desktop screen gadgets which are normally run all the time when your computer is running. It is one kind of background process which takes physical memory as well as a processor unit which may slow down your computer. Try to remove those gadgets which increase your computer’s performance. How to make computer faster is one of the most searching quires in internet. 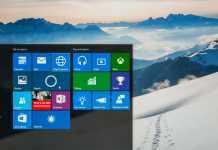 There are several reasons behind slow down a computer some of them may the hardware problems, but the most important effects that mostly caused for slow down the computer are discussed above. By following these steps you may increase your computer performance.